"Or we could go apple picking," he replied. 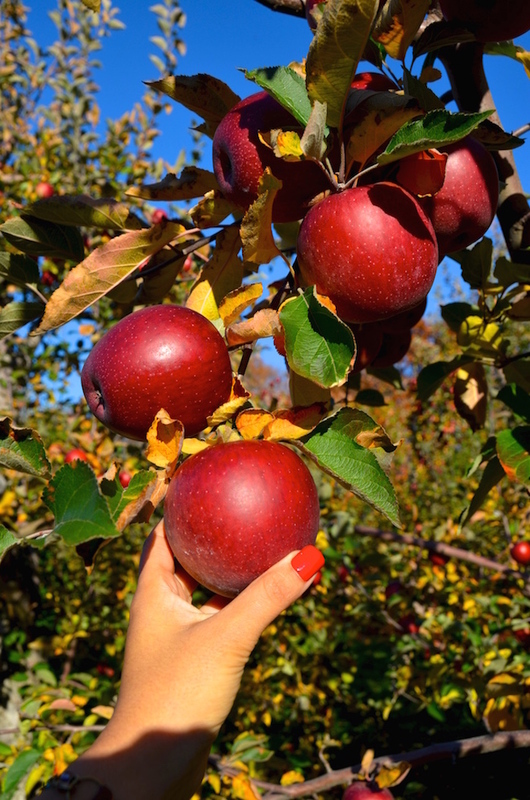 It was a bit late in the season for apple picking, but the warm Fall meant that a few of the area farms were still full of apples. After some searching, I found a farm called Ochs Orchard in Warwick, NY, just about an hour outside the city. Our friends met us at our apartment on Sunday afternoon, and we piled into the car to head out to the country. Here are a few photos from our day. The views at Ochs are particularly gorgeous. 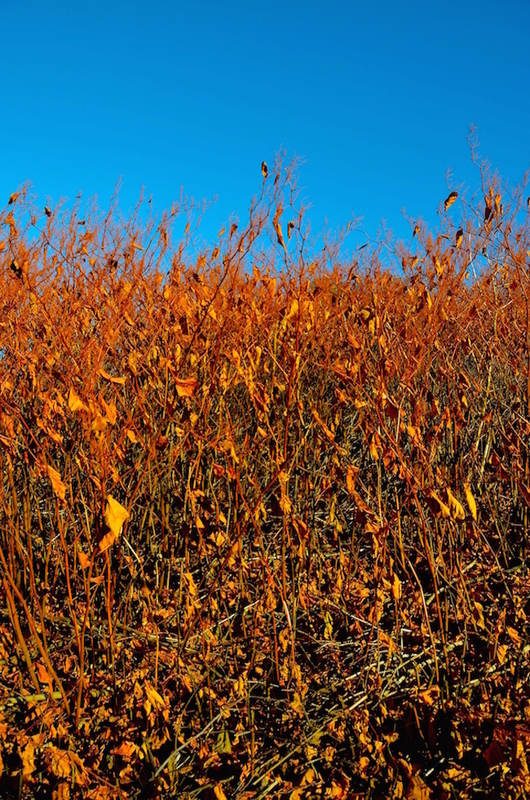 The sun was bright and the sky was cloudless, which let us look out over the acres of changing Fall landscape. I was in love with the bright orange and red leaves, and kept stopping to marvel at the beauty. 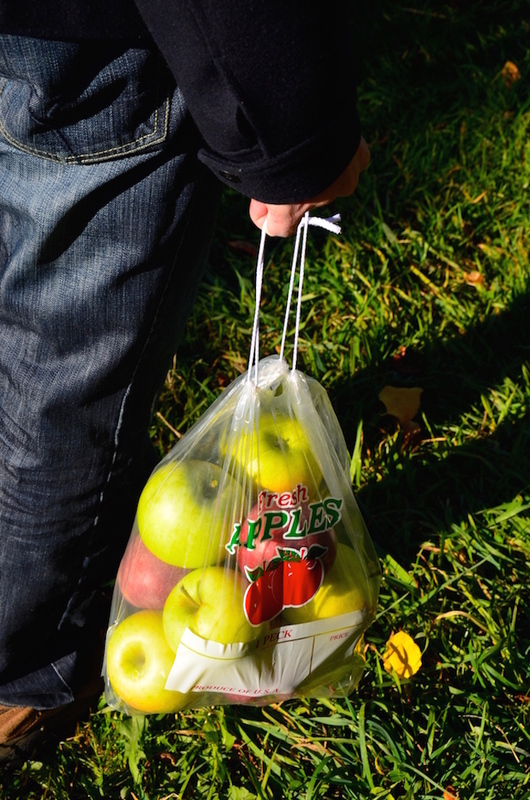 We got two 1/4 bushel bags to fill with apples--that's about 15 pounds of apples per bag. At this time of year, the available apples were primarily Crispins (my new favorite! ), Macouns, Galas, and Red Delicious. 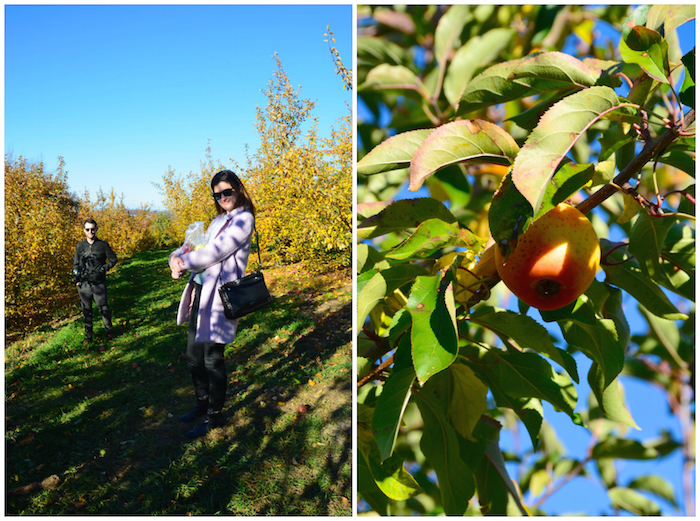 We were also able to eat as many apples as we wanted while walking around--something which we definitely took advantage of, though afterward regretted. It turns out that "as many apples as you can eat," is really just too many apples. On the ride to dinner we kept moaning about our sugar headaches and churning tummies. On the way out of the orchard, we found that they also had plenty of turnips available for picking, so I got in and yanked a few out of the ground. When we went to pay, the farmer's wife just kind of waved us away. "On the house!" The apple cider donuts, of course!